Today is a day to celebrate; ginger cats have changed the world! 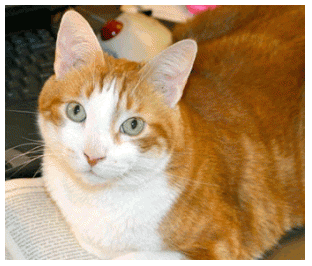 Home / Blog / Today is a day to celebrate; ginger cats have changed the world! Like you we are often surprised that there are so many official days for people, animals and even food that we never would have thought warranted their own day of celebration. So right now you might be thinking that ginger cat appreciation day is just another crazy day that you can gloss over and get back to your normal routine. But if you care about animals, you should know that some ginger cats have gone on to change the world for rescue animals and we would like to recognize their contribution on this special day. Ginger is often a derogatory term used by children when referring to other children that have red or reddish orange hair. Usually it’s not a term of endearment and thankfully with a focus on reducing bullying, many schools have shut down this specific form of teasing. 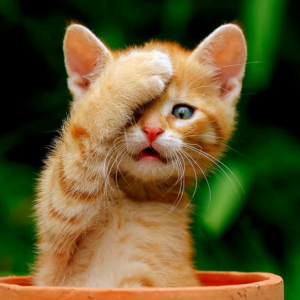 In the animal rescue world though, ginger cats refers to the orange tabby cats that are so unique in their coloring and demeanor. There are many to be found throughout the animal rescue world though not all are as special as Doobert. Today is ginger cat appreciation day and we want to remind you about a very special ginger cat named Doobert who helped revolutionize animal rescue transport forever. Animals play such an important part in our lives and many times they inspire us to greatness that we never thought we had within us. Such was the case with Chris Roy, who created the toolsets and software called Doobert that so many organizations and volunteers have come to know as synonymous with animal rescue. 5 years ago, nobody outside of the Roy family had heard of a cat named Doobert, and now thousands of people type his name in their browsers and smart phones every month, to dedicate their time to helping animals by providing safe and reliable transport either across town or across the country rescue relay style. Like many companion animals, Doobert was a special cat to Chris & Daphne. Although he started out as the runt of the litter on the farm, Doobert grew to be 17 pounds of warmth and love which he exuded to all around him both animal and human alike. He greeted his owners with boisterous meows from the floors above, and reinforced the importance of weekend afternoon naps by providing a blanket of love; i.e. sitting on their chest to warm them to sleep. Doobert showed unconditional love for all he encountered and the entire Roy family (both animal and human) grieved when it came time to let Doobert go. So when it came time to name the website and software that Chris developed for coordinating animal rescue relay transport, he could think of no more fitting a name than Doobert; to signify the love and caring for animals that Doobert the website aims to bring. 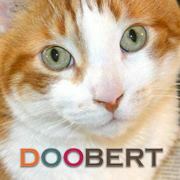 Doobert joins volunteers and professionals alike in caring for animals. So today, September 1, we invite you to pause and recognize a special ginger cat that inspired an IT guy to develop a system and website with tools for animal rescuers around the world to help animals. Doobert was a ginger cat, and a proud one at that. We salute his companionship and love for Chris & Daphne and know that he inspired a focus on saving many more.